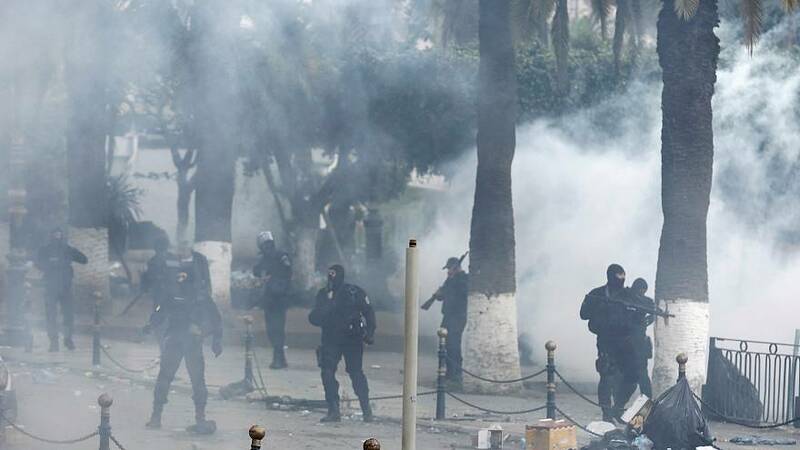 More than 80 police officers were injured on Friday in the Algerian capital as protests against the country's ruling regime continued. Around 200 demonstrators were arrested. The weekly protests have been largely peaceful but the latest rally resulted in clashes with anti-riot police firing teargas in an attempt to disperse a crowd of several hundred young people in the city centre. They are calling for the removal of President Abdelkader Bensalah who replaced former leader Abdelaziz Bouteflika last week after he resigned. However many see Bensalah as to close to the old regime. His nomination as interim leader sparked fresh protests. Mass demonstrations in recent weeks have called for a renewal of the political system and a transition period in which key figures from the regime would be excluded. According to Algeria's constitution, Bensalah can only stay in office for 90 days and cannot stand in elections planned for July 4, however that has not stopped protesters calling for him to stand down. The demonstrations started in February not just against Bouteflika but the whole ruling elite.